This entry was posted in Bible Birds, Birds of the Bible and tagged Birds, Birdwatching, Christian, Contentment, Home School, Joy, Laughing Kookaburra, Laughter, Lowry Park Zoo, Videos. Bookmark the permalink. 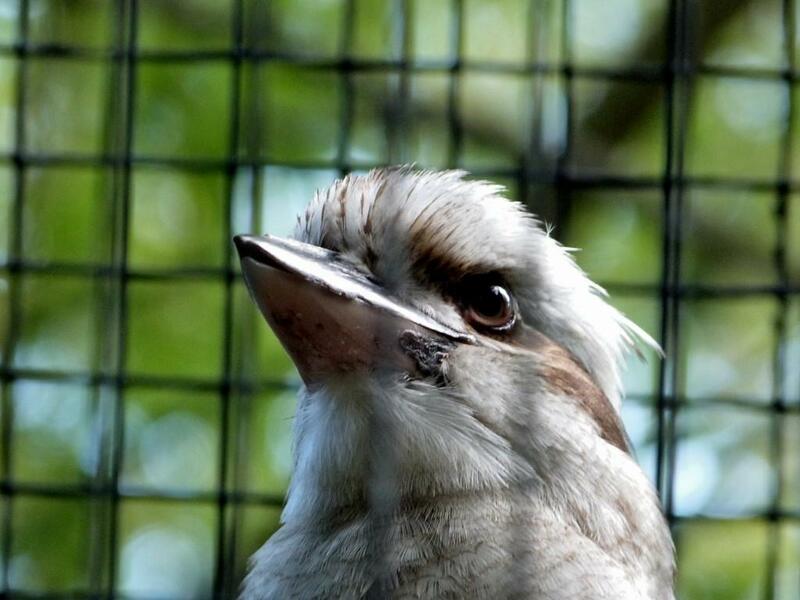 What an interesting lesson, from the laughing Kookaburras.”We all have things come into our lives, but our attitude affects how well we handle those circumstances.” Today I meditated on the same topic, but with a different scripture. How wonderful it is, when God speaks to us in many different ways, “the one thing” He wants to teach us! Thanks for the video Lee. Thanks for commenting. Yes, attitude can affect us greatly. Today, I finally get to see the eye doctor who will fix this cataract. Trust they schedule it quickly. I have been trying my best to have a good attitude about seeing blurry. Thankful my camera does better than my eye at present.